1. The male hand is connected to a mobile phone, a notebook or a tablet computer to extend the function. 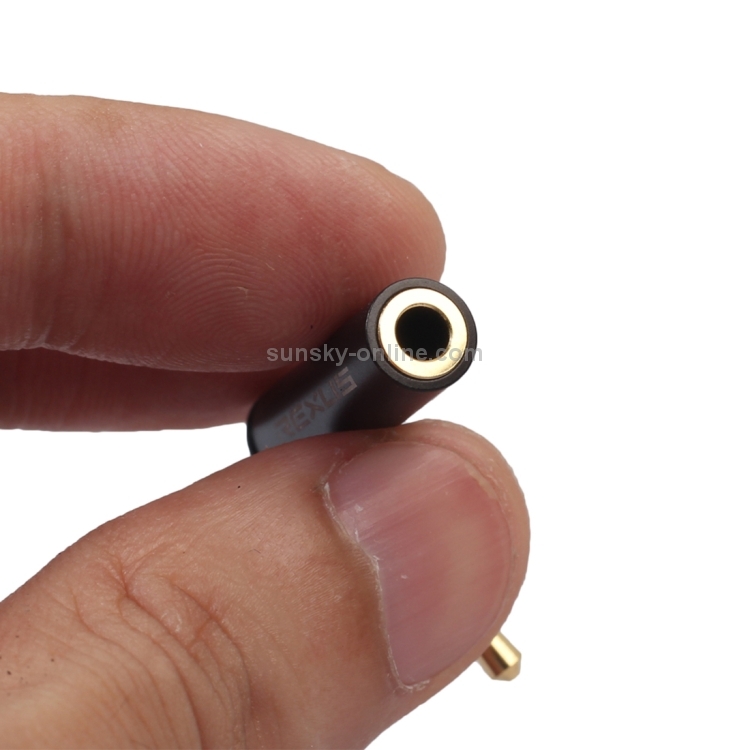 The female head is connected to the earphone, or through the extension cord amplifier, the speaker AUX port. 2. 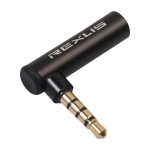 Gold-plated plug, high fidelity, lossless sound quality. 3. Aluminum alloy casing, no fading, anti-scratch, corrosion-resistant, beautiful appearance. 4. 90 degree elbow design, listening while playing, does not affect the game play, do not disturb others. 5. 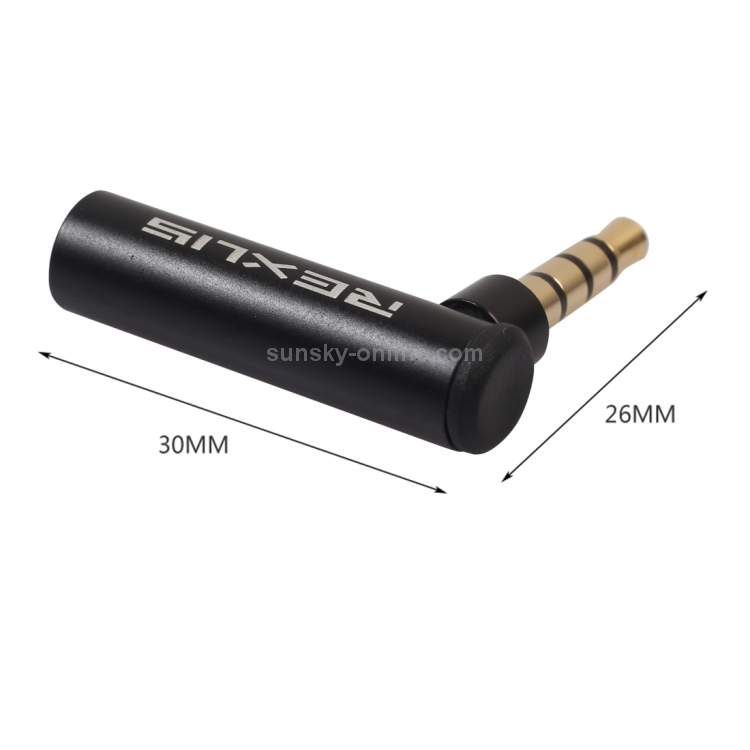 Applicable to most 3.5mm interface devices, mobile phones, tablets, laptops, desktop computers, digital cameras, MP3, MP4 and other devices with 3.5mm interface. 1. Interface type: 3.5mm male / 3.5mm female straight through. 2. 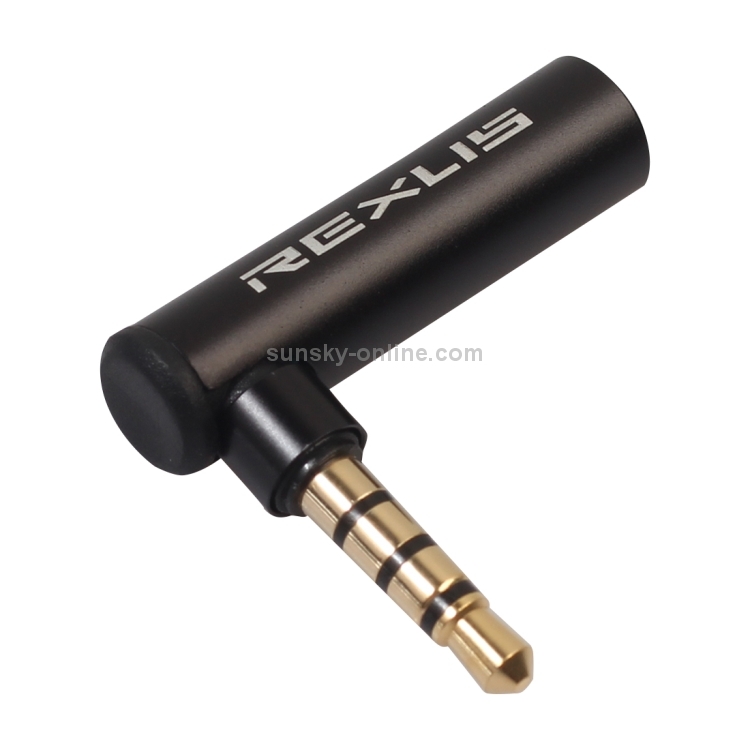 Material: Aluminum alloy case / gold plated plug. 3. Contact definition: 1-1/2-2/3-3/4-4 (with straight-through connection, extended use. Non-standard conversion function). 5. 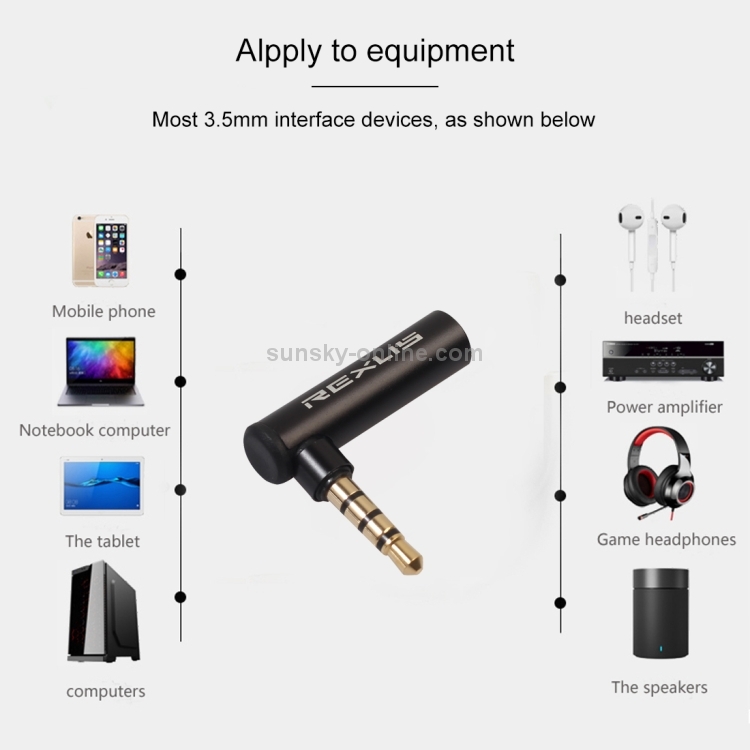 Features: Supports headphones with a microphone. 6. Product weight: 3 grams.